If there is anything we have learned about Early Learning Educators, it is that they like to play, get their hands dirty, and share what they know to be good practice with other educators! 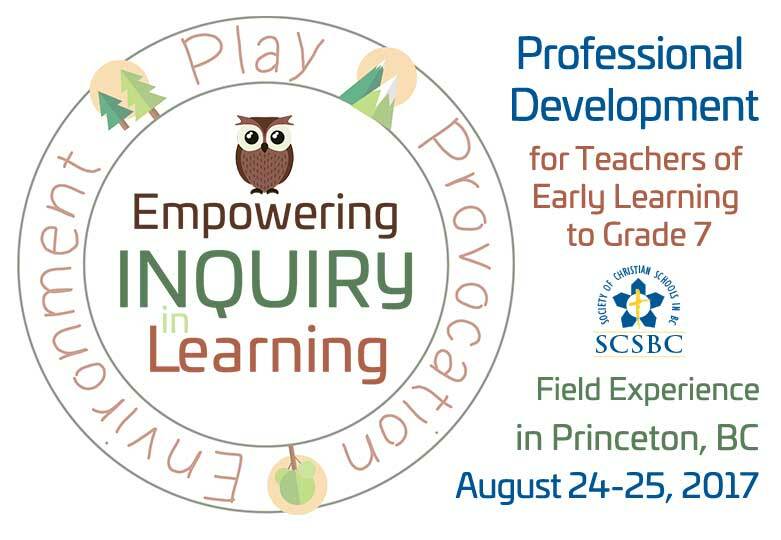 As the planning committee worked toward developing the conference on inquiry, play, and provocation for August, it became clear that we needed the conference engagement goals and experience to be consistent with our title and with what we know about inquiry learning. Pedagogically, the best way to learn how to teach through inquiry is to experience inquiry and adopt a learner’s mindset. For these reasons, we have transformed the design of this professional development opportunity. Now, you will engage in an immersive experience where inquiry learning drives our discovery of some of the origins of the natural art media and pigments the world-famous Vermilion Bluffs in Princeton, BC, which boasts some of the finest natural soil colours in Canada. This immersive field experience coupled with concentrated time to reflect on and intentionally develop our understanding of inquiry learning will provide you with specific take-aways for use in the classroom and a vastly increased appetite for engaging inquiry. Processes for eliciting Inquiry in the classroom are foundationally similar for engaging preschoolers, kindergarteners, primary students, and beyond. We expect this this authentic inquiry experience to be transformational in how you look at pedagogy of inquiry.